As I drove down Temple Canyon Road, I had to slow down to make a sharp turn on a switchback. 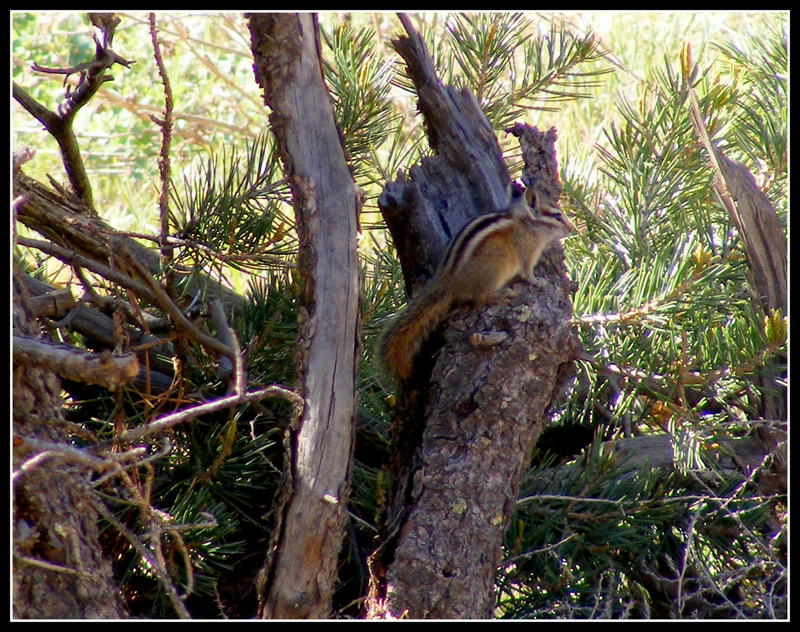 I heard a loud chirping noise coming from the jumble of rocks and branches and saw a chipmunk hop up on a short stump. We looked at each other for perhaps 30 seconds. When I slowly pulled forward to see if I could get a better light angle, it disappeared into the brush. It doesn’t really have a long, pointed nose. A branch in the background just makes it look like it does.